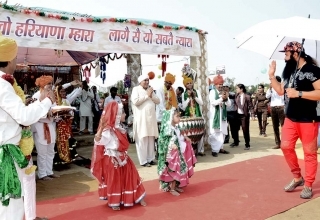 In a packed Audience of over a crore and a half on Dera Sacha Sauda’s Foundation Day Celebrations held in Sirsa, on Friday, 29thApril, Saint Dr. Gurmeet Ram Rahim Singh Ji Insan was honoured with Platinum Plaques for MSG’s debut Film, MSG -The Messenger’s Sound Track. Mr. Savio C D’souza, Secretary General of IFPI (The International Federation of the Phonographic Industry) in India, presented 4 Platinum Plaques to Saint Dr.MSG for four categories including Vocals, Lyrics, Composition and Music Direction respectively. 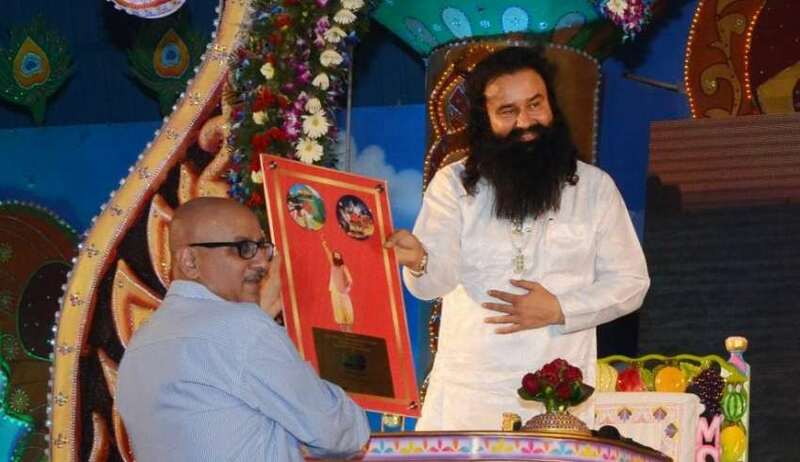 In his presentation speech, Mr. Savio D’Souza mentioned that the Platinum Plaque being presented to Saint Dr. MSG, for Triple Platinum sales of the sound track of MSG-The Messenger. The Platinum category is the highest category worldwide and this Plaque is not given to anyone after 2002, in India. IFPI is the voice of the recording industry worldwide. They represent the interests of 1,300 record companies from across the globe. 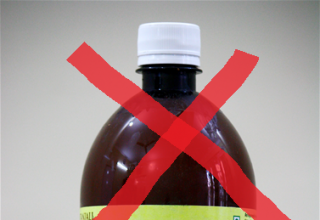 It is a non-profit international organisation registered in Switzerland with offices in London, Brussels, HongKong and Miami plus affiliated offices in Beijing, Mumbai and many other cities. 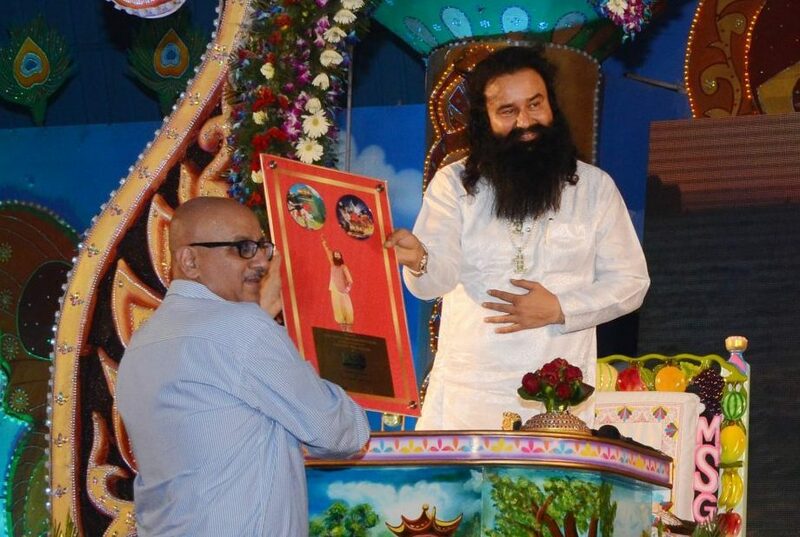 One more Plaque was awarded to Saint Dr. Gurmeet Ram Rahim Singh Ji Insan from Mr. Rajat Kakkar, Managing Director – Sony DADC India on behalf of Mr. Markus Streibl, Head of Global Licence Business, SONY DADC International, for 1 Million (10 lakhs) sales of CD and DVD for MSG-The Messenger. Apart from these, limited edition of MSG1-Audio and Video was released in a wooden box to celebrate the success of MSG-The Messenger. DVDs of MSG-2 The Messenger, the sequel to MSG-The Messenger were also released by Saint Dr. Gurmeet Ram Rahim Singh Ji Insan. 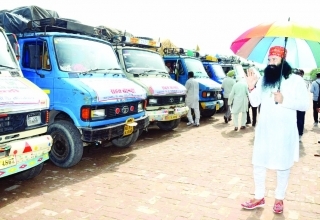 Although MSG-2 The Messenger is still in the Cinemas even 32 weeks after its release, now people will have the option to enjoy MSG-2 music & Film from the comforts of their homes. Amidst other Bollywood personalities, present at the congregation held on Friday, were Ace choreographer Ganesh Acharya, Director of Photography Kabir Lal, VFX expert Madhususdanan and Kittu Karanjeet Saluja the Director of Online Gurukul. 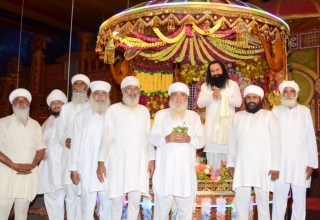 Speaking about the Film in the making, Mr Saluja described it to be a grand Film with high grade VFX on the lines of Hollywood Film Avatar and based on our Vedas, has Saint Dr MSG in 6 different roles, which has never happened in any Film before. 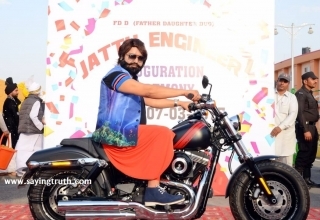 Apart from this, Saint Dr. MSG will also be seen in another Film, Lionheart- MSG The Warrior, which is in progress alongside online Gurukul, which sees Saint Dr Gurmeet Ram Rahim Singh Ji Insan as a Warrior fighting for the respect of Women. We can wait and watch for now, as to which one gets completed first, and makes way to the Audiences!